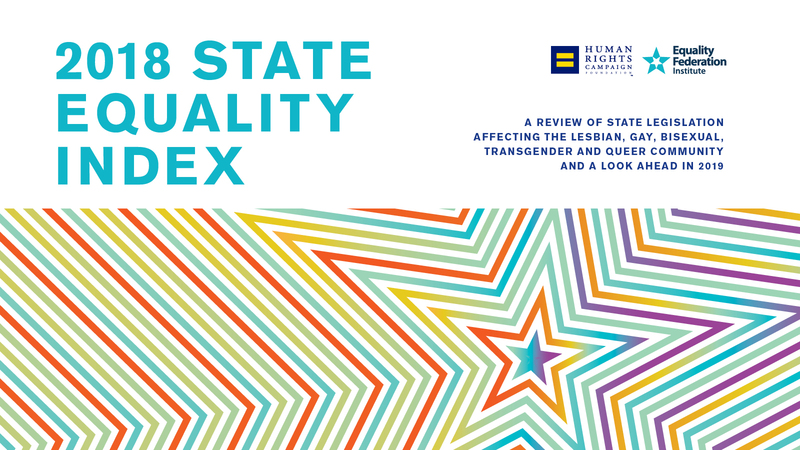 HRC Foundation and the Equality Federation Institute released their 5th annual State Equality Index (SEI), a comprehensive report detailing statewide laws and policies that affect LGBTQ people and their families, and assessing how well states are protecting LGBTQ people from discrimination. Because there are currently no comprehensive civil rights protections for LGBTQ people at the federal level, the rights of millions of LGBTQ people and their families depend on which state they live in. In 30 states, LGBTQ people remain at risk of being fired, evicted or denied services because of who they are. For this reason, the incoming pro-equality majority in the U.S. House of Representatives has made the Equality Act -- a bill to establish comprehensive federal protections for LGBTQ people -- a top priority.